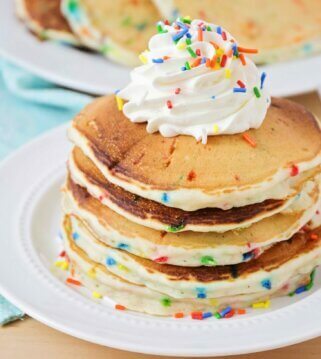 I’ve always been a huge fan of breakfast recipes. Unfortunately, we rarely have time to enjoy them in the morning before kids are off to school or chores are being done on the weekend. Yes, it’s pathetic, but that is one of the reasons why we have have breakfast for dinner every Wednesday night. 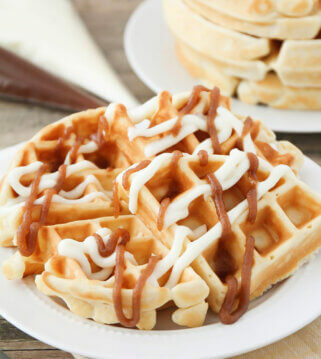 There are so many great breakfast recipes to try and with little time in the mornings, we are happy to enjoy them at dinner time. 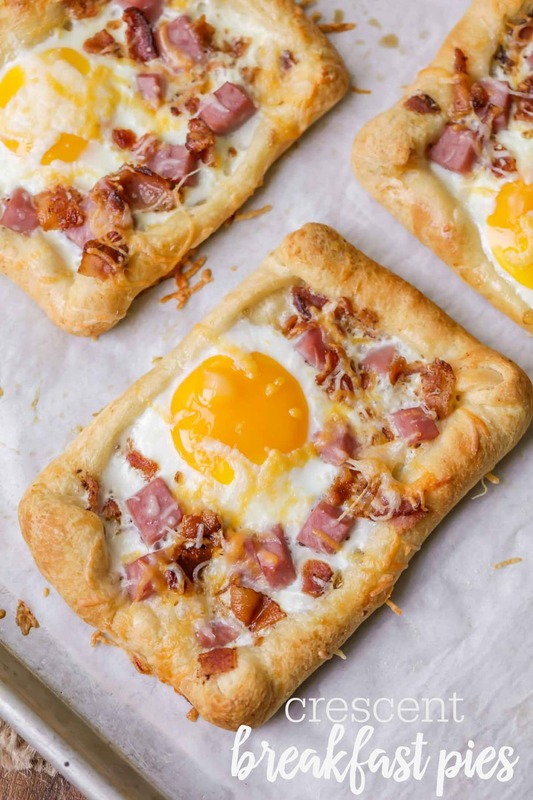 One of our new favorites are these Crescent Breakfast Pies. 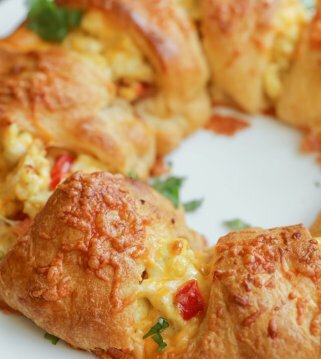 We got the recipe from Pillsbury and loved them! 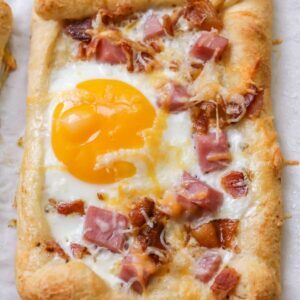 Like most breakfast concoctions, these breakfast pies can be customized based on the ingredients you love most. 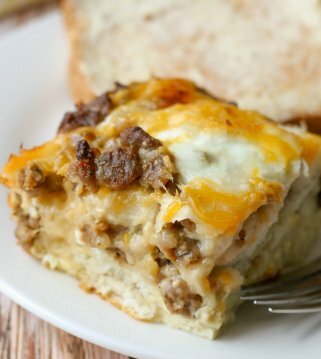 You can add veggies (peppers, tomatoes, etc) or different meats (sausage, bacon or ham). Different cheeses can add different flavors as well. 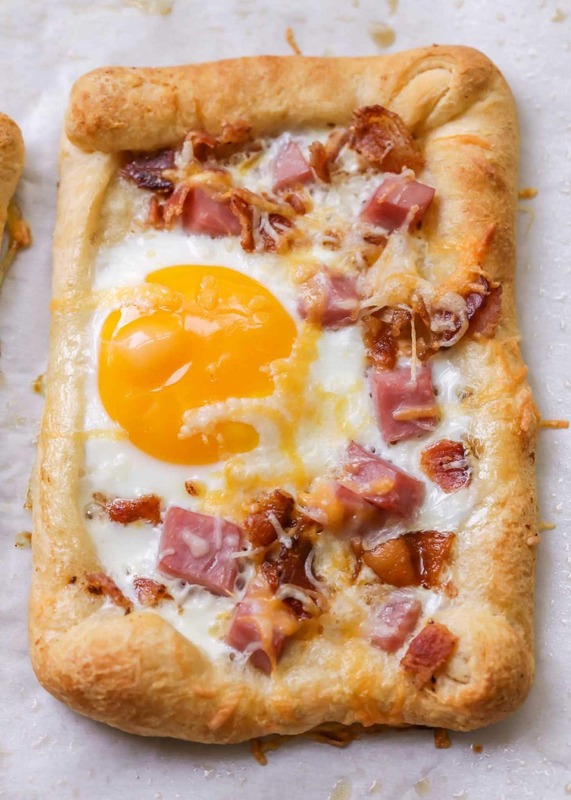 We kept it simple because of picky eaters and had bacon, ham and cheese on top of the egg and it tastes amazing!! 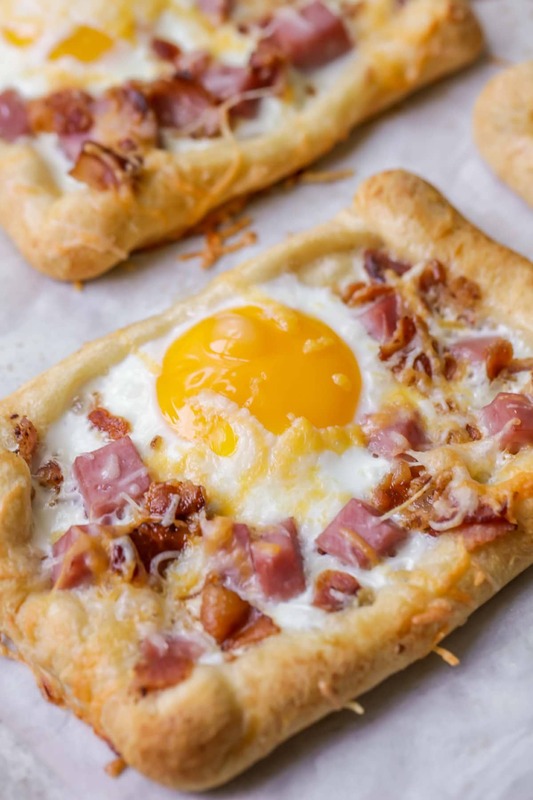 Simple and delicious Crescent Breakfast Pies filled with an egg, bacon, ham and cheese. Preheat oven to 375. Line cookie sheet with parchment paper. Roll out dough onto a cutting board to form a large rectangle. Cut into 4 smaller rectangles and place on cookie sheet. Roll dough edges up to form an edge. 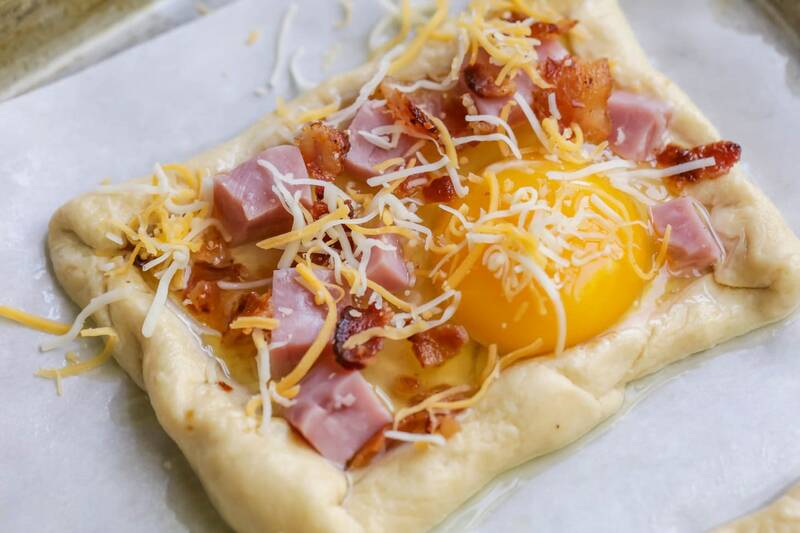 Break 1 egg into the center of the dough. 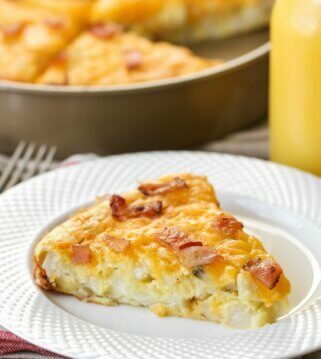 Top with cheese, bacon and ham. Top with any other veggies (if desired). Bake for 16 - 20 minutes or until egg yolk is firm. ENJOY!